Banish the thought that smart phones reduce stress levels. Whilst they do help people keep on top of their work load, new research has found smart phones are stressful because people get caught up in compulsively checking for new messages, alerts and updates. Today psychologist Richard Balding from the University of Worcester presented the findings from a study at the British Psychological Society’s Division of Occupational Psychology Conference in Chester. The study found that stress was associated with the personal use of smart phones but not with work. In particular, a relationship was found between stress and the amount of times the phone was checked, with the most stressed amongst us experiencing ‘phantom’ vibrations when in fact there have been no alerts. A questionnaire and a psychometric stress check were administered to over 100 participants including university students and employees from a range of occupations including retail and the public sector. The study established the existence of a helpful-stressful cycle; it found that a device is typically acquired to help an individual manage their work load. 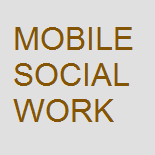 However, once the individual starts to use their smart phone the work load management benefits are displaced by the pressure to keep abreast with their new expanded virtual social life. The more an individual becomes stressed and worried the more compulsive behaviours such as checking will occur. via Turn off your smart phone to beat stress | BPS. This entry was posted on June 13, 2012 by Lutz Siemer in Professional Development, Science and tagged british psychological society, research, science, technology.